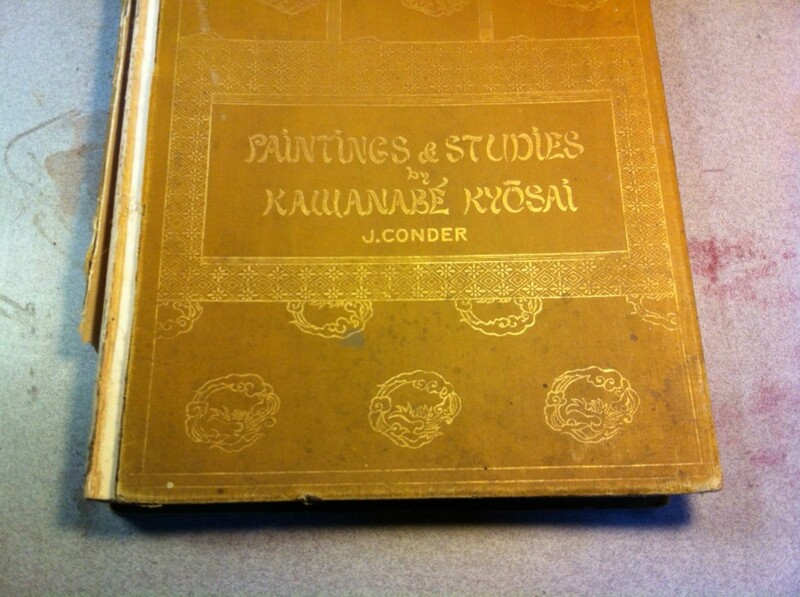 This book of Kawanabe Kyosai paintings was compiled and edited by Josiah Conder, a British architect who designed public buildings in Tokyo. 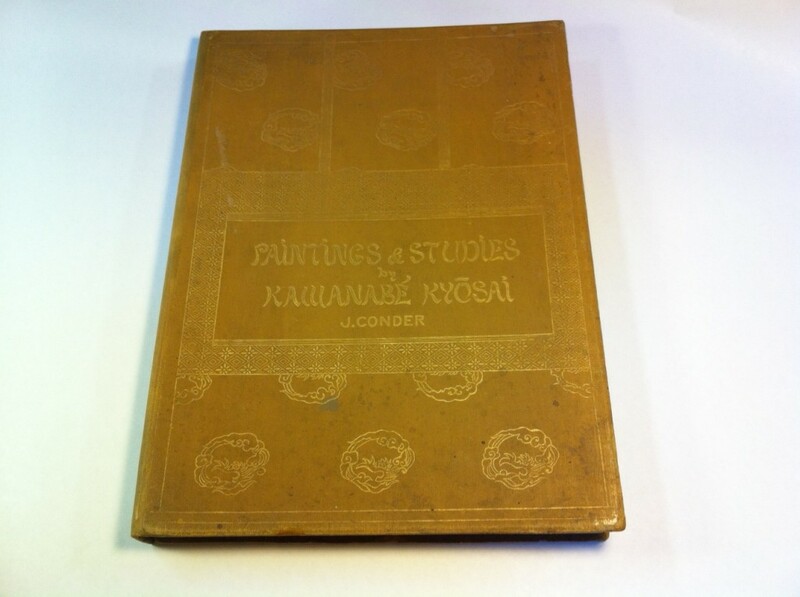 Although the book was for an English-speaking audience, it was printed and bound in Japan in 1911. 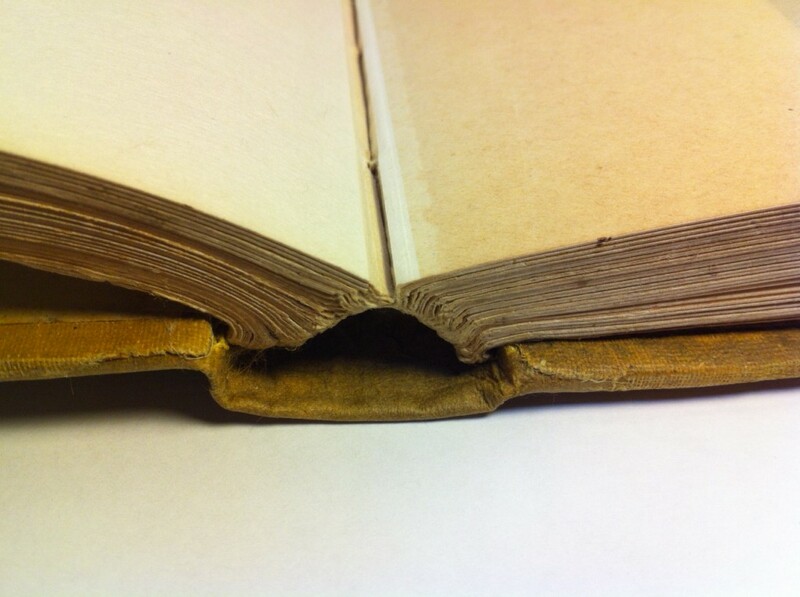 The spine was mostly gone but the sewing was intact and the plates were in good shape. 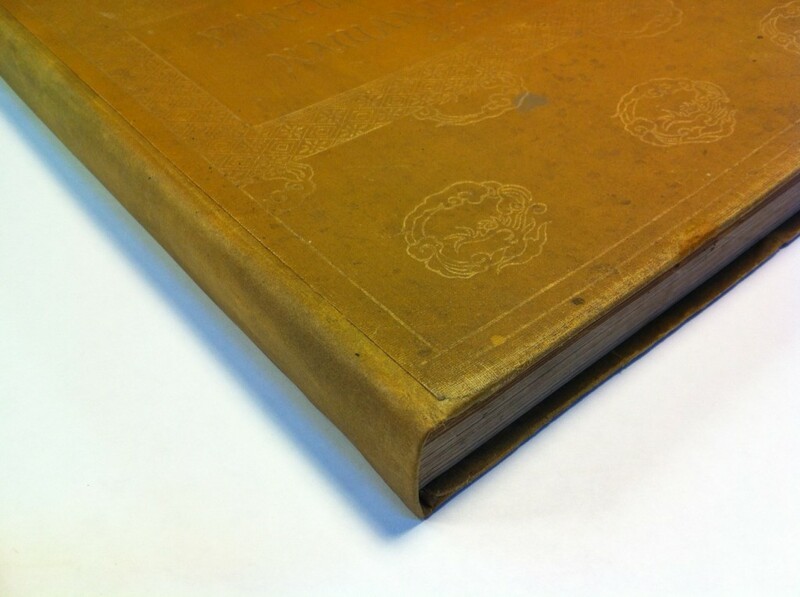 I wanted my work to be as inconspicuous as possible and for a flat, relatively minimalist cover such as this one, I knew that the new spine had to be a very good match to the original in color. 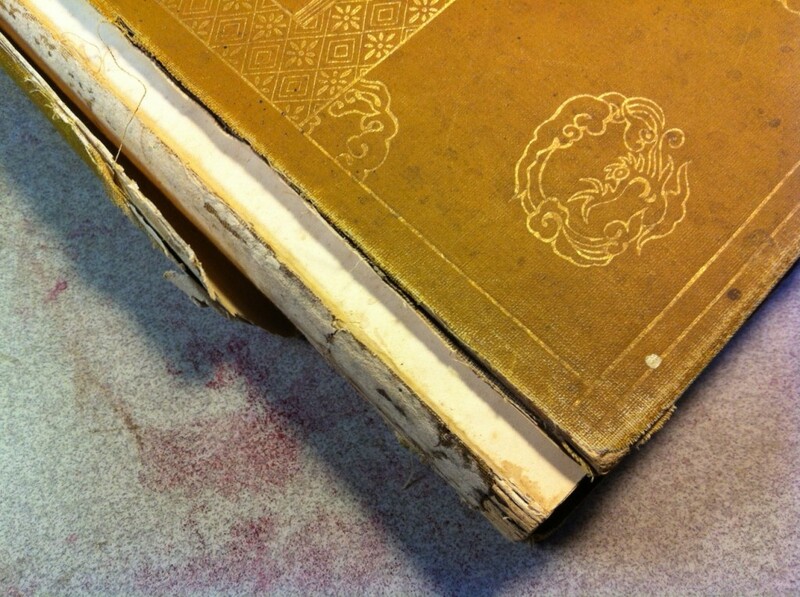 I took some extra care in dyeing the new material.